Image Name: Tense Image Description: The inspiration of this work comes from the state of the water cup.This work attempts to present a paradox about the "tense". 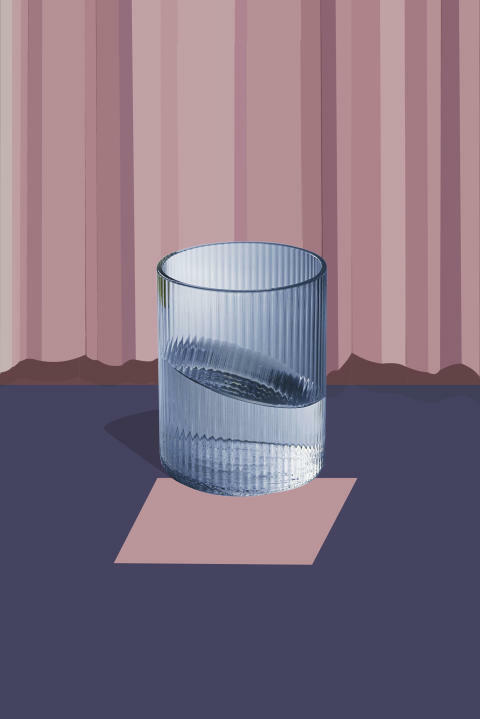 The water surface only tilts when the glass is moving or tilting, but the glass in the picture is flat and still at the moment. Therefore, the water glass and the water surface must not be in the same tense. What is the relationship between them cannot be known from the picture, but they still coexist in the space of the work with "contradictions" in the end.